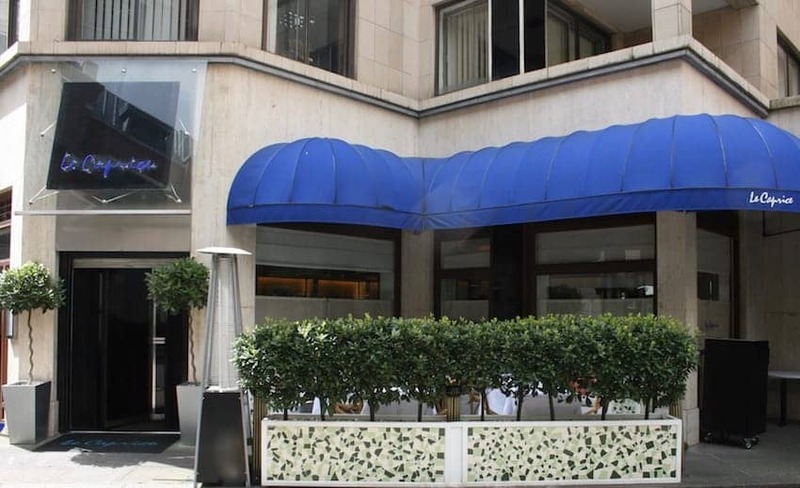 Located in a corner of Piccadilly's St James district, Le Caprice is an institution of some renown, often associated with celebrities over the years while also retaining its loyal local regulars. The menu features classic British, European and American favourites served from brunch through to dinner. Located in 1930s building Arlington House where it has been since 1981, the interior is decorated in timeless black and white with art deco mirrors and bistro chairs. A collection of iconic photographs by David Bailey adorns the walls. Jazz sessions are a fixture every weekend.